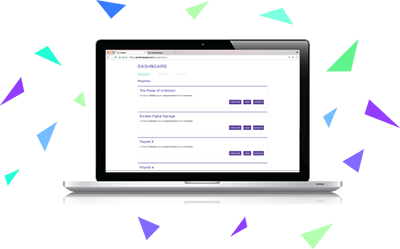 Manage your messaging and graphics from one easy-to-use location. Whether you're on the go or in your office, manage your signage from anywhere, anytime. 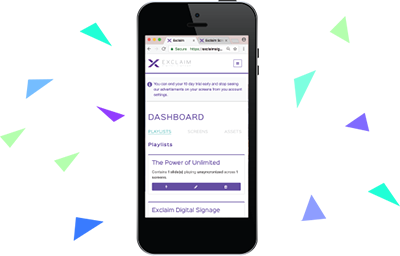 The Exclaim Platform is device agnostic only requiring an internet connection, computer or any retail available media player. Real-time messaging capability allow you to push a single message to one screen or all of your screens from any device. Vertical. Horizontal. It doesn’t matter. With Exclaim’s unique solution, you can experience native support for any resolution, screen or matrix display, even tablets and passive kiosks. No need to fumble through complex settings, just design your slides, create a playlist and launch. Easily push a message from your phone, tablet or desktop computer in just a few clicks. 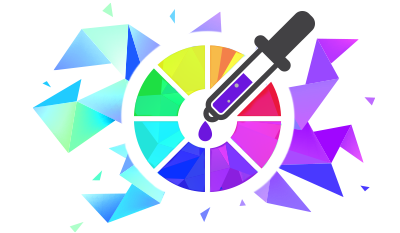 Need to communicate a contest or giveaway winner? Need to quickly broadcast a message to all of your digital signs? Exclaim Digital Signage allows you to do just that, anytime, anywhere. Manage your digital signage wherever you are. 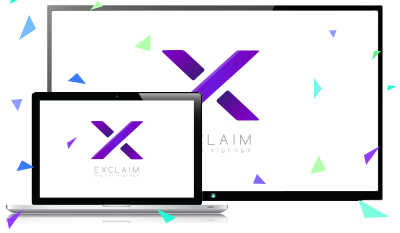 Exclaim allows you to easily create, manage, edit and publish updates to your digital signage from anywhere without a mobile app or desktop software. Exclaim does not require any special hardware players or codecs, just a display and a computer. If you have a web browser, that's all you need. Exclaim Digital Signage is also available for Google Chromecast, allowing you to easily and cost-effectively deploy a digital signage solution. Unlimited Slides, unlimited playlists and unlimited asset storage. With Exclaim you only pay for the number of screens you are broadcasting to you will never pay per slide or playlist. 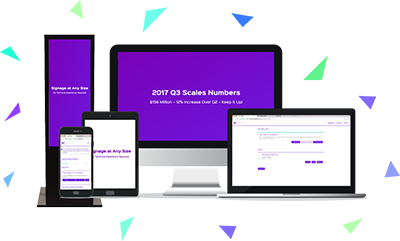 With 11 built-in fonts, 4 pre-designed slide types, 20+ theme templates plus the ability to build a custom theme. It has never been easier to make professional looking digital signage in just a few clicks. All Plans Include Unlimited Playlists, Unlimited Slides, Unlimited Real-Time Messages, and Access to our Theme Library.